President Sata’s many promises in 2011 have so far amounted to little but disappointment. President Michael Sata at the Commonwealth Heads of Government lunch. Photograph by Gareth Iwan Jones, Commonwealth Secretariat. 2 The China question: answering or avoiding? When President Michael Sata was elected in late 2011 by a clear majority of Zambians fed-up with the 20-year rule of the Movement for Multiparty Democracy (MMD) and thirsty for change, no-one expected him to underwhelm, disappoint, and confound as much as he has. Everywhere I travelled in Zambia this month and last – Chipata, Mfuwe, Livingstone, Kalomo, and Lusaka – people from a variety of backgrounds felt disaffected by the president nicknamed King Cobra. “He promised so much,” they said, “and he has not delivered”. They claimed that there are no new jobs, no new houses, and no new opportunities, while the schools, hospitals and clinics remain under-resourced. The China question: answering or avoiding? Many of the things Sata once stood for appear to be in danger now that he holds the reigns of power. Sata has, for example, significantly reduced his opposition to the role of Chinese business operatives in Zambian industry and commerce. While campaigning for election in 2011, but less vociferously than in 2006 or 2008, Sata promised to “rein-in” the Chinese, especially in the copper mining industry. As highlighted by Human Rights Watch, Chinese state-owned and private firms have been found to discriminate against Zambian miners, operate mines with inferior safety standards, and run enclave “ghetto” compounds that keep Zambians separated from Chinese workers. In his campaign for the presidency in 2011, Sata softened his stance considerably, however, and as president has said that he was unaware of the full range of Chinese activities in Zambia, and of just how important China is for Zambian prosperity. Immediately after his election, Sata dispatched high-level envoys to Beijing. However, for local Zambians, there are still many unresolved issues with the Chinese. Some market traders resent the fact that unregistered Chinese merchants are sometimes industrious enough to enter the urban trading centres (such as Soweto market in Lusaka) earlier than they do, and without paying the proper fees. They are also accused of undercutting Zambian traders. One elderly Zambian told Think Africa Press that ordinary people resented the Chinese because they were “selfish”, and they feel Sata’s government is doing little about this and is even ignoring the China question completely. On the campaign promise of anti-corruption, on the other hand, President Sata’s government insists it is poised to crack down on 20 years of misrule and mismanagement. With regard to keeping his own regime corruption free, however, the president has done little to follow up his promises to pursue allegations against rogue cabinet members. He has so far only proceeded to investigate people already suspected under former President Rupiah Banda’s administration. Sata has also been accused of taking a politically-motivated and self-interested approach to anti-corruption. Recently, for example, three senior judges were suspended by Sata for alleged corruption soon after they had participated in a ruling against associates of the president. The High Court subsequently stayed their dismissal, however, and the judges are free to continue working pending an official inquiry as well as a ruling into to whether Sata’s actions were within the limits of his power according to legislation and the constitution. Another aspect of President Sata’s term has been his desire to strengthen the Zambian sense of national identity. Sata recently decided to inculcate Zambian pride by artificially attempting to bolster Zambia’s national currency, the kwacha. Overnight it became illegal for anyone to pay Zambians in dollars, pounds sterling, rand, or other foreign currencies. In a swift move, Sata’s regime up-ended the tourist industry by decreeing that all transactions within Zambia would have to be in kwacha, meaning tourists could no longer even pay airport departure taxes in dollars as they could do before. Ordinary Zambians are also puzzled over President Sata’s overt support of President Robert Mugabe’s undemocratic rule in neighbouring Zimbabwe, which has contributed to severe social and economic problems in the country. Many Zambians cannot understand why Sata praises Mugabe publicly at every turn and often visits him. President Sata justified his close relationship with Mugabe by explaining that it is easier to influence Zimbabwe by being “constructively engaged” with the president. Mugabe might be more likely to listen to criticism from a friend than a hostile enemy, although there is little evidence this approach has been working so far. 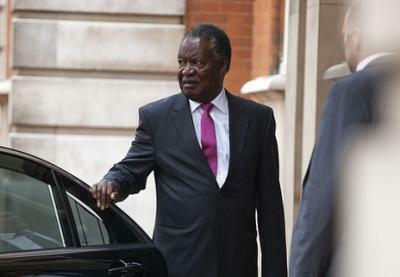 President Sata also believes firmly that there is currently no alternative leader for Zimbabwe. There are no contenders, according to Sata, tough and resolute enough. Most of Mugabe’s competitors and potential successors within his own ruling party are “jellyfish”, says Sata, lacking the strength to take over from him. Speaking to Think Africa Press, Zambians throughout the country expressed criticism of their new president and his policies. More often though, they were simply bemused and embarrassed by Sata’s unprofessional behaviour. On a state visit to Botswana, for example, the president refused to eat the food served at functions apparently in solidarity with starving masses, while in a meeting with the former US President George W. Bush, Sata reprimanded Bush for being late and called him a “young man” and a “former colonialist”. Finally, Zambians said they were unhappy with Sata’s single-handed and single-minded decisions taken with little consultation with voters or even his own parliament. President Sata is decisive, not deliberative, and prides himself on not dithering, sometimes to the consternation of close associates and Zambians. He busily signs a stack of official papers at his desk in State House, and then mutters about the inappropriateness of Zambia’s head-of-state continuing to work in a building that once housed Zambia’s colonial governors. Whether Zambia prospers in the months and years ahead may well depend on President Sata’s personality and personal whims more than the governmental structure within which he reigns. PreviousPrevious post:Rwanda: The Land of Gender Equality?